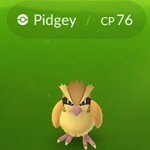 Here's a quick walkthrough, tips, tricks, and strategy guide for the android and iOS mobile game Pokemon GO, presented by Niantic, Inc. Which Starter Pokemon To Choose? - You may choose any starter Pokemon you want: Charmander, Squirtle, Bulbasaur, or even Pikachu!. Will I Be Able To Capture Them Later? - Yes, probably but they are somewhat uncommon though. - If for example, you want Squirtle to be one of your main Pokemon, I suggest that you wait until you can gather lots of Squirtle Candies, and after capturing the highest CP Squirtle or Wartortle that you can find late game. - Pikachu is an Easter Egg Pokemon that can be obtain during the tutorial. - Once you are given the chance to choose 1 starter Pokemon, move away instead and ignore them. Keep moving until those 3 starter Pokemon respawns near you. Do this 4 to 5 times until Pikachu appears! - A Pokemon’s attack strength is measured in units of Combat Power. The total rating of the Pokemon's Attack, Defense, and HP combined. - A Pokemon’s CP determines how well it will perform in battle. - Your advancement is measured in Experience Points (XP). Increase your XP to advance to higher Trainer levels. - As your Trainer Level increases, the "CP Caps" of Pokemon around you will also increase, giving you a chance to capture better Pokemon. However, some types of Pokemon will naturally always have lower CP. 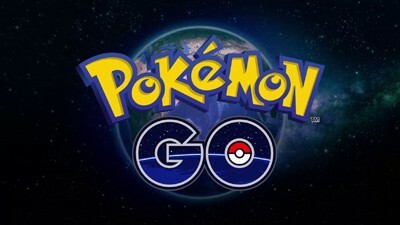 - Note that leveling up will also affect the success rates of capturing Pokemon, so if you are having trouble getting a certain Pokemon, just train more then go back. - PokeStops are locations where you can gather items such as Poke Balls, Potions, Revives and Eggs. Each PokeStops activated will also give 50XP. - You’ll find PokeStops in the world near public art, unique architecture, or public gathering places. - PokeStops will refresh every 5 minutes, so if possible, go to a location where you can find multiple PokeStops that are close to each other. - Also a good alternative for Lure Modules, but if possible, better save them for farming Candies late game. 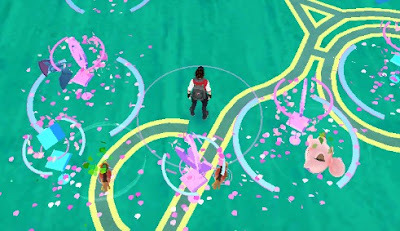 - Sometimes, Trainers will use "Lure Modules" to lure all available Pokemon near PokeStops. Use this opportunity to grab more, because all Trainers nearby will also benefit from this effect. - A new Pokemon will give you 500 XP, while capturing a Pokemon that you already have will net you 100 XP. - If your PokeBalls are limited because PokeStops are somewhat far from your location, it's better to only capture new Pokemon or wild Pokemon with low CP ratings (you'll need them for evolving Pokemon later for faster XP). - Use the "RUN" option if the wild Pokemon you encountered has a high CP, or if it can't be evolved. - CPs labeled with "???" means that the CP of that Pokemon is definitely higher than any Pokemon you currently have. - If a PokeBall icon is displayed next to their name, that means you already caught that Pokemon. - Pokemon love places like parks, so try visiting some local recreational areas nearby. - Some wild Pokemon would only appear in certain environments and climates. For example, some Pokemon may appear only near lakes, oceans, or other bodies of water. - Pokemon located around your area are displayed in the "Sightings" and "Nearby Pokemon" section in the bottom right of the screen in "Map View". - The upper left Pokemon is the closest to your location while the bottom right Pokemon is the farthest. - Their placements will also change depending on your current location, even new Pokemon will appear if you are within their area. - The Green (easy), Yellow (normal), Orange (hard), or Red (extremely hard) circle that moves towards the center. - You have the greatest chance of capturing the Pokemon while the colored ring is at its smallest diameter. At the opportune moment, fling the Poke Ball toward the Pokemon. - Drag and rapidly spin the Poke Ball in a circular motion before you release it for a chance to receive a Curve ball bonus. This is a tricky method to use but keep practicing, many trainers also say that using Curve Throws actually increases the rate of capture. - You just need to hit the target ring with your Poke Ball. - Hit the target ring while it is halfway near the center. Easy to do when the Pokemon is near your screen. - Wait for the target ring to move near the center then hit it with a "Bulls Eye"!, this doesn't guarantee a capture but will definitely increase the odds. - Hitting the white circle will not yield any Throw Bonuses. - Use your index finger instead for better accuracy. - You can turn off your Camera with the AR button anytime for better aiming. - Using a stronger Poke Ball like Great Balls, Ultra Balls, and Master Balls, and also Berries ("per throw") increases the odds, better use them though only for orange or red difficulties. Note: Save your strong Poke Balls and Berries for capturing powerful Pokemon at higher levels. - Also known as "releasing a Pokemon to the wild". - Use this to get rid of your low CP, common, or duplicate Pokemon that you don't need. In return, you'll be given Candies used to upgrade that same Pokemon type. - Use this method if you want to upgrade one of you favorite Pokemon later on. - Basically, just keep all Pokemon that appears with orange or red target ring, if you were able to capture them. Use them as your early game Gym Pokemon. - Pokemon Eggs are items that can be found at PokeStops. Each Egg displays the number of kilometers you must walk for the Egg to hatch. In general, the more kilometers required, the rarer the Pokémon that will hatch. - Tip: During early game, just hatch 2.0km and 5.0km Eggs, save your 10.0km Eggs and hatch them once you reach higher levels. Doing this method will give you a better chance to get some new rare Pokemon for 500XP each + 10km Egg Hatch XP bonus. - You can double the amount of XP you earn in a certain amount of time by using a Lucky Egg. - Highly recommended for trainers that are willing to spend money for this game, do it from the very start since all new Pokemon that you will get will give you +1000XP each. - Example: Pokemon Caught (100XP), New Pokemon (500 XP), and an Excellent Throw (100XP)= If a Lucky Egg is active this will net you a total of 700XP x2 = 1400XP! - Also works with Pokemon Eggs. Example, a 10.0 km Egg will give 1000XP x2 = 2000XP! - Aside from Shops, Lucky Eggs can also be obtained from Level Up rewards, use them wisely. - One important thing to remember is to never power up or evolve any Pokemon early game. This is because their CPs are very low, and upgrading them right away will not improve anything. - It's better to save your Star Dusts and Candies for your high CP Pokemon later. - You can easily get better Pokemon as you go anyway, so use them for now until you can capture your favorite Pokemon with high CP late game. Even better if you can find a fully evolved Pokemon with high CP rating. - Optional: Survey your location and check if which team you think is more dominant, join that team and place a Pokemon to all of your team's gyms. This way, you can maximize the rewards you can get per day. - Gyms are locations where you can battle the Pokemon of rival teams, or train your Pokemon by battling against the Pokemon assigned there by other members of your team. - Gyms belonging to your team are known as friendly Gyms, just place any Pokemon there to start earning Defender Bonuses. Note: Do not place your best Pokemon because you might need it for other Gym Battles. - Gyms that have not yet been claimed are known as open Gyms, if you can find a grayed one, quick and take it over! - At rival Gyms, you can battle other teams’ Pokemon for a chance at claiming the Gym. Select up to six Pokemon to use in the battle. 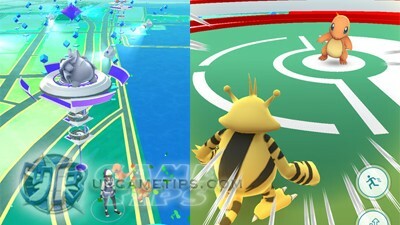 - Gyms can be challenged by multiple Trainers at the same time. - Tap your Pokemon to perform a fast attack. Fast attacks charge your special attack meter. - Swipe left or right to dodge attacks. - Once your Special Attack meter is charged ("blue bars below your Pokemon's HP bar"), "Tap+Hold" your Pokemon to perform a special attack. 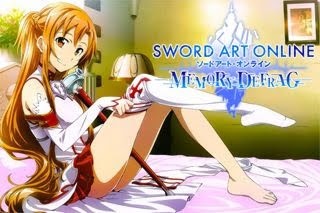 Special Attacks cause large amounts of damage. - Each rival Pokemon you defeat reduces the Gym’s Prestige and potentially lowers the Gym’s level. 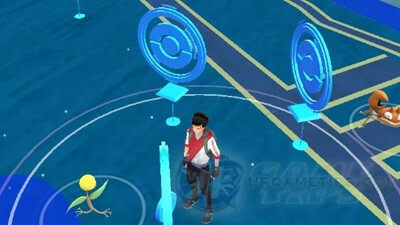 Reduce the Gym’s Prestige to zero to capture the Gym for your team. - A Gym’s level is determined by its prestige. As a Gym earns prestige, it increases in level. The higher a Gym’s level, the more Pokemon can be assigned to it, which makes it harder for rival Teams to capture. - A Gym’s prestige increases when you assign a trained Pokemon to it, and also when teammates assign additional Pokemon. - At friendly Gyms, Trainers can battle Pokemon assigned there by other members of their team to increase their XP and the Prestige of the Gym. When your Pokemon loses a friendly battle, it doesn't faint. Its returned to your collection with 1 HP. - A Pokemon faints when its HP is depleted to zero. Fainted Pokemon must be revived using the items Revive or Max Revive. - There are various Potions you can use to heal Pokemon. These items restore their HP (Hit Points). - You can receive a daily reward of Stardust and PokeCoins for defending a Gym. - The Defender bonus can be claimed at the shop. 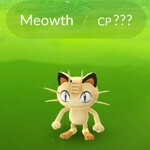 - Refer to our guide here: Pokemon GO: Best Time To Upgrade - Evolve or Power-up First? - Includes Evolution FAQs and Easter Eggs: How To Choose Eevee's Evolution! - Our quick walkthrough guide for new trainers is now up!